In short, a small colony of common bacteria — Streptococcus Mitis — had stowed away on the device. 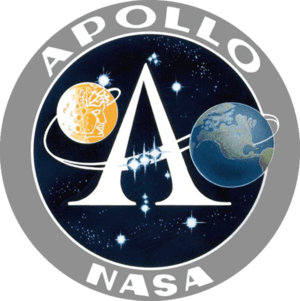 A diligent team of researchers is now digging back into historical documents — and even located and reviewed NASA’s archived Apollo-era 16 millimeter film — to come clean on the story. As it turns out, there’s a dirty little secret that has come to light about clean room etiquette at the time the Surveyor 3 camera was scrutinized. The Surveyor 3 camera-team thought they had detected a microbe that had lived on the moon for all those years, “but they only detected their own contamination,” Rummel told SPACE.com. Their verdict was given at a meeting on “The Importance of Solar System Sample Return Missions to the Future of Planetary Science,” in March at The Woodlands,Texas, sponsored by the NASA Planetary Science Division and Lunar and Planetary Institute. “If ‘American Idol’ judged microbiology, those guys would have been out in an early round,” the research team writes of the way the Surveyor 3 camera team studied the equipment here on Earth. Or put more delicately, “The general scene does not lend a lot of confidence in the proposition that contamination did not occur,” co-author Morrison said. In simple microbiology 101 speak, “a close personal relationship with the subject … is not necessarily a good thing,” the research team explains. Winner of this year’s National Space Club Press Award, Leonard David has been reporting on the space industry for more than five decades. He is past editor-in-chief of the National Space Society‘s Ad Astra and Space World magazines and has written for SPACE.com since 1999.